For those who do not want to limit themselves to a “school at home” approach, but instead to take advantage of the options available, eclectic homeschooling is a good choice. However, starting out can be a challenge, and this article aims to help with that. When starting to homeschool, many are looking for either “school at home” options where they try to emulate the very system from which they are escaping, or some other complete curriculum or approach to make homeschooling simple. For many, this can be a good way to start. It can build a bridge from traditional public school to a homeschooling experience that limits second-guessing oneself. Am I doing enough? Covering all the topics? Will I know all the answers? Those beginning questions are endless, and they are typical of new homeschoolers, but they are not necessarily bad questions. They are a sign that the parent is on top of things and doing their best to give their child a quality education. 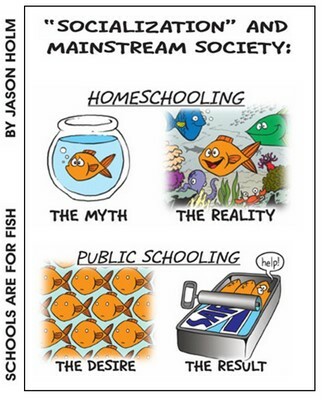 However, there is another group of homeschoolers that do not fit into this “packaged” approach, some even actively avoiding it. Perhaps due to a healthy dose of confidence, or even out of necessity, they do not subscribe to any single program or approach. It’s called eclectic homeschooling. Eclectic homeschooling means allowing yourself to have the whole buffet of what is available. There is no need to settle on one curriculum or one approach and stick with it religiously. Do whatever works for that kid, for that subject area, for that particular time period in life. As situations change, and children grow, feel free to try other approaches as needed. It is a way to align learning to each child’s learning styles, needs, interests, and goals. While many might agree that eclectic homeschooling can be ideal, the new or busy homeschooling parent might feel daunted by the task of overseeing such a wide-scope program. What are some resources and strategies for building such an enriching homeschool experience? This is a step that many parents initially forget, but it is an important one for creating a program that meets each child’s needs while taking some of the pressure off of the parent. If you get “buy-in” from your child, the follow-through can be that much easier. Assess your child’s learning styles. You can use a variety of assessments out there, with VARK (perceptual modalities), and MBTI (personality types) being among the most popular. A more comprehensive online assessment is available at LearningStyles.net, and it is based on the popular Dunn & Dunn model. While you are at it, be sure to assess your own learning styles too. This will give you some insight as to how your communication styles and preferences might be similar to, or different from, your child(ren), and this can help you work together as a team. Once learning styles are assessed, and goals and interests are discussed, then materials and instructional options can be explored. Creating an eclectic student-centered learning environment does not always mean selecting a curriculum that the parent likes. For example, Saxon Math is a popular choice among homeschooling parents because it is easy for parents to use. Some students like Saxon and learn well with it. However, what if a student did not do well with Saxon? What if Math-U-See or a completely different program was a better option? Eclectic homeschoolers need to find that balance in selecting materials that are parent-friendly to use while also a good choice for that child’s learning needs. In order to be open to options, one has to know what is available. First, request a copy of the current Rainbow Resource catalog. It is the size of a large city phone book, and it is full of curriculum listings with descriptions and reviews. It often notes if an item is Christian-based, which is good for both Christians and non-Christians alike. Next, consider joining a discussion board or group for homeschoolers where you can ask for curriculum ideas for specific subject areas. A couple of large boards are homeschool.com and TheHomeSchoolLounge.com. Again, feel free to indicate if you have any preferences regarding religion or philosophy so the responses can be tailored to meet your needs. Finally, check out your local Chamber of Commerce. This might seem like a strange idea, but it is where you can get a list, even brochures, of local offerings that might be good for experiential learning. This can range from museums or science centers to a calendar of events. Consider delegating some instruction by using online or distance education classes. This is a way of expanding your homeschool experience beyond your own expertise, whether it is having your child learn a higher level of math or writing, or expanding into a unique elective area. Visit the iNACOL institutional members page for a list of distance education programs. Remember that a program can often serve beyond the state in which it is located. For example, Christa McAuliffe Academy School of Arts & Sciences is based in Oregon, but it serves students throughout the world. Flexible and self-paced options usually work best for homeschoolers. Download and use the Personalized Education Components Chart from the website to help you ask key questions when exploring online options. Seek out community-based learning. Many cities have a Parks and Recreation program that offers community classes ranging from arts to technology. Sometimes local school districts offer classes that are open to the community, as well as vocational and elective programs open to homeschoolers. Community colleges are also a great option for some high school students. Check your local phone book for listings of theater groups, martial arts, dance lessons, and similar offerings. The trick when using community-based learning is to maintain balance; you don’t want to be running yourself ragged going from one group to another, but it can provide a nice change of pace to have one or two classes this way. As you build an eclectic homeschool program, remember to remain open to new ideas to give yourself the flexibility to change approaches or try new things. Continue to get buy-in from your child(ren) and work as a team while setting clear expectations for academic progress and creating any necessary boundaries to remain balanced. As you fine-tune your approaches, eclectic homeschooling can be a rewarding experience for everyone. When parents are considering homeschooling or using distance education opportunities such as online schooling, the question “What about socialization” inevitably comes up. This article addresses this question, providing some slight paradigm shifts in thinking as well as strategies for avoiding the potential pitfalls people are so worried about. “What about socialization?” is possibly the most often-asked question when parents are considering options outside of the traditional public school system. What many do not realize is that the institutionalized approach of most public schools can undermine a student both socially and academically. I taught in the regular school system for years, and I can tell you from being in the trenches that even the “best” schools are not necessarily the best places for socialization. Even setting aside the potential dangers (violence, drugs, etc. ), you have a very institutionalized approach where kids are put in columns and rows, grouped according to whether or not they were born within a certain 12-month time period, governed by bells, and often given rules that run contrary to the “real world” for which they are supposedly being prepared. In Outliers, Malcom Gladwell presents the phenomenon of birth month being a predictor of success in hockey. January through March shows the greatest success rate with nearly half of hockey stars being born during this time. Gladwell notes that the explanation has nothing to do with astrology. “It’s simply that in Canada the eligibility cutoff for age-class hockey is January 1″ (p. 24). That means that most “gifted” hockey players had an extra year of growth and development. The same can happen in the public school system. The most frightening aspect of this practice is that we are quick to label students as “behind”, and the students are just as quick to adopt this label. Consider eighth grade math as an example. Only about 1/3 of the students in eighth grade are psychologically developmentally ready for all of the learning goals of an eighth grade math course. While the one-third who are ready should definitely be given the chance to work at that level, the majority of students will struggle, and many will come to the conclusion that they are “stupid” in math. A year or more later, when they would have been ready to learn the concepts, they still suffer from this mental block. How many potentially brilliant scientists have we lost due to students dodging classes requiring higher levels of math? Also, think about how students gather socially based on their perceived academic or athletic skills. Children develop both intellectually and socially at different rates, with spurts and plateaus, and ideally they would be taught according to their current levels in each area. That does not mean tracking; the goal should always be to move each individual forward without any preconceived limits. A student can be at one level in math and yet another level in language arts, challenged just enough to grow. It’s a simple concept known as Vygotsky’s Zone of Proximal Development, taught in basic teacher training courses and yet not well-supported in the typical public school model. As for socialization, parents should take a moment to reflect on their own socializing practices. Chances are, they are not limited to socializing only with those who were born the same year. For my own daughters, they have found friends through shared interests and activities, much like adults do (that real world stuff). By not being bound to a traditional public school schedule and restrictions, my daughters have time for a more enriched social life without overwhelming me in the process. Karate. Interfaith youth group. Community sports. Book group. Local art group with events such as music in the park. Playing multiplayer video games with friends around the world. Volunteering at the animal shelter, library, and charities. The list is long and varied, resulting in meaningful social interactions with a diverse group of friends ranging in age, religion, political affiliation, and other traits. They can talk and collaborate while learning, and they do not get in trouble for passing notes or using technology. They are not just being prepared for the real world, they are being prepared as the future leaders of that world.